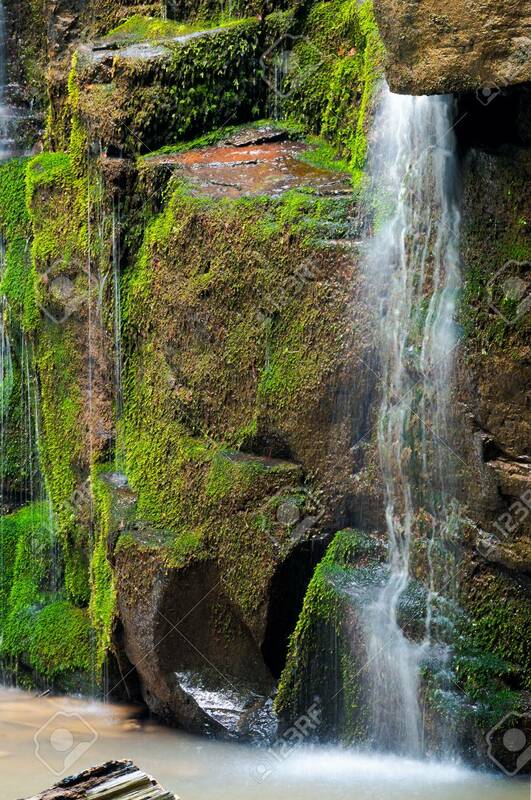 Close Up Of Waterfall Cascade Over The Mossy Rock. Beautiful.. Stock Photo, Picture And Royalty Free Image. Image 104190975.